BELLEVUE, Wash., October 10, 2017 – New Year’s Eve is synonymous with fireworks, countdowns, midnight kisses and incredible celebrations around the world. A recent survey of more than 1,000 Americans1 revealed nearly 20 percent may travel for the holiday this year, and nearly a quarter plan to be away for more than ten days. To help travelers kiss 2017 goodbye in style, Expedia® data experts have compiled everything travelers need to know about when to book, where to go and how to get the best deals. Expedia.com® data2 shows that travelers in the U.S. should book NYE travel 21-30 days in advance to save around five percent on airfares. This is one instance where planning too far in advance might actually hurt you – travelers who book more than 90 days out paid the most, almost 10 percent more than average ticket prices. Travelers can snap up even more savings by signing in or becoming an Expedia+ Rewards member, earning points and unlocking access to members only deals and perks. Members save 10 percent or more instantly on select hotels, just by signing in. For more information visit https://www.expedia.com/Deals. Expedia.com® is one of the world’s largest full service travel sites, helping millions of travelers per month easily plan and book travel. 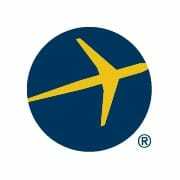 Expedia.com (https://www.expedia.com/, 1-800-EXPEDIA) aims to provide the latest technology and the widest selection of top vacation destinations, affordable airfares, hotel deals, car rentals, destination weddings, cruise deals and in-destination activities, attractions, services and travel apps. With the Price Guarantee, Expedia.com customers can get the best rates available online for all types of travel. 1Survey commissioned by Expedia during September 2017 and conducted by Google Consumer Surveys, polling more than 1,000 respondents, aged 18-65+, located in the U.S.
2Data based on a 2016 booking window and a 26-31 December 2016 travel window. 3ATPs based on all coach, roundtrip flights from the U.S. with search dates of June 25 – September 25, 2017 and a departure window of December 30 or 31, 2017 as of September 27. 4Trending destinations based on demand between January 1 – June 30, 2017 with a travel window of December 30, 2017 – January 1, 2018, compared to the same time period in 2016.